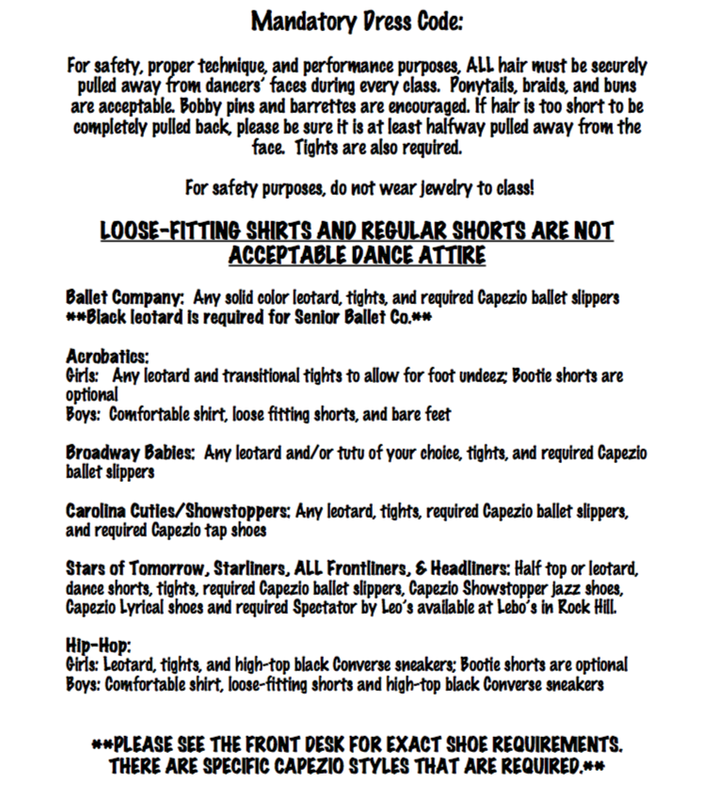 All Adagio dancers are required to purchase and wear the proper shoes to all of their scheduled classes. All Adagio families have access to our studio log in on Curtain Call For Class to make ordering shoes fast and simple! Click the link below to order your shoes before fall classes begin. 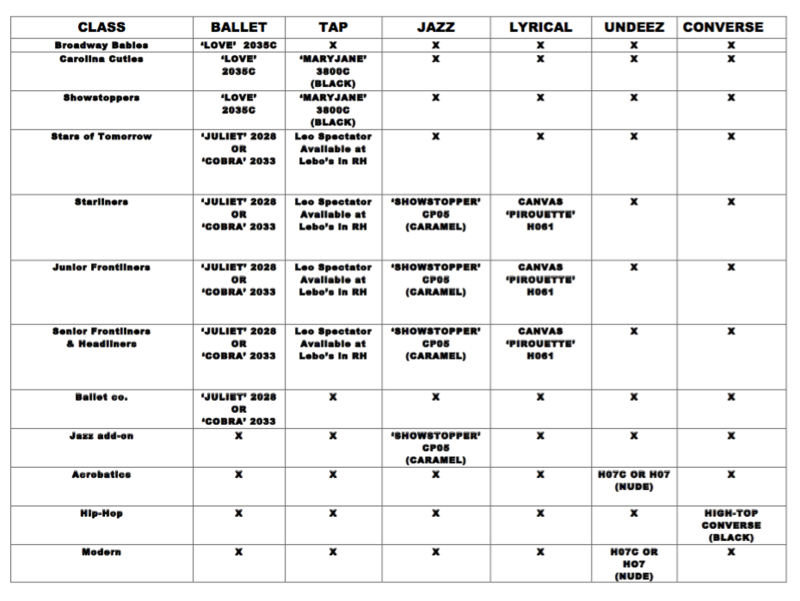 If you are unsure of which shoes to order your dancer, please see the chart below.